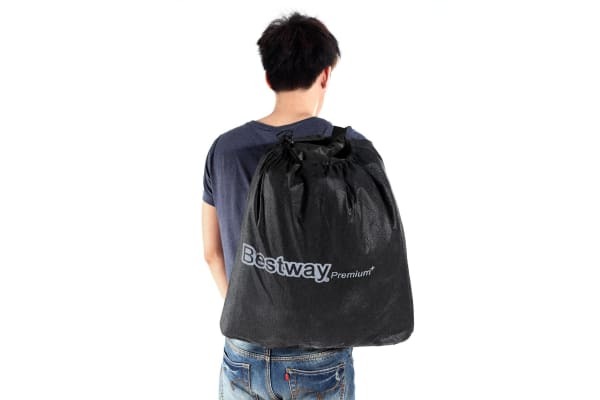 Establish a peaceful sleeping surface anytime, anywhere with the Bestway Queen Inflatable Mattress with Built-in Pump! Featuring a built-in electric pump that inflates and deflates with the simple flip of a switch, you can easily adjust the bed to the desired level of comfort. 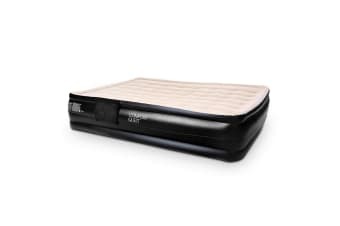 Guests, campers and travellers, will enjoy the support, firmness and extra comfort of this amazing ComfortQuest inflatable bed. 203cm x 152cm x 46cm approx.